It generates two isolated current outputs, 4-20mA or 0 – 20mA. The range of retransmission output can be freely defined. This model uses high performance hardware, which leads to greatly decreased temperature drift and interference among the two channels. As a result, this multi-channel instrument achieves the same measurement accuracy and anti interference ability as that of single channel instrument. It generates digital adjusted current output without potentiometer, making the current output precise and stable. The model is DIN rail mounted. Its width is only 22.5mm. The instrument can be easily configured by connecting to our E8 handset display. 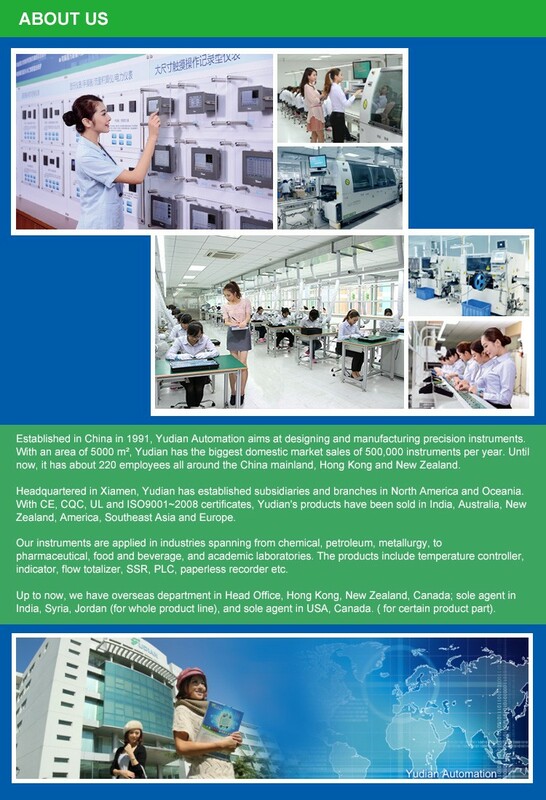 Universal power supply of 100-240VAC or 24VDC. 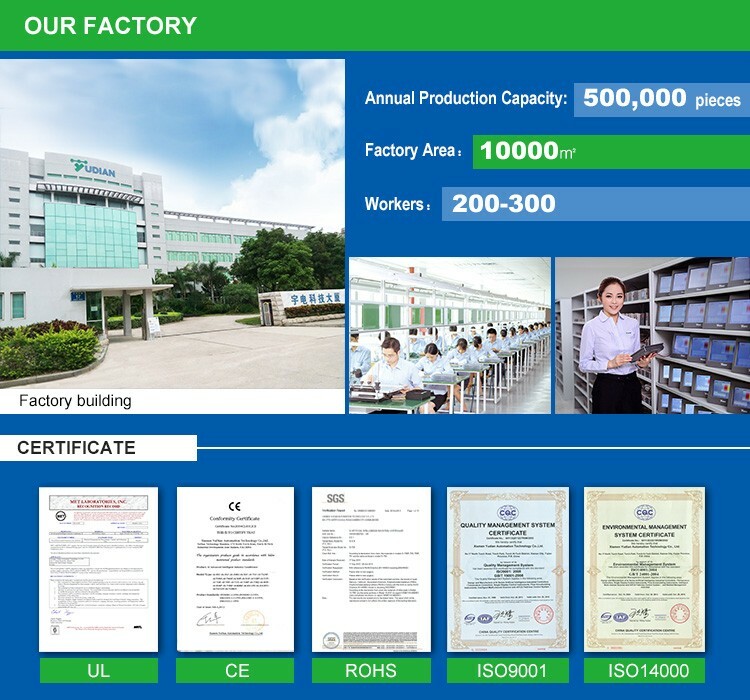 ISO9001 and CE certified and meets EMC standards. Its power and all I/O terminals pass 4KV/5KHz EFT test and can work reliably under interference. Linear voltage: 0~20mV, 0~60mV, 0~100mV, 0~1V, 0.2~1V etc. Linear Input: -9990~+30000 units defined by user. 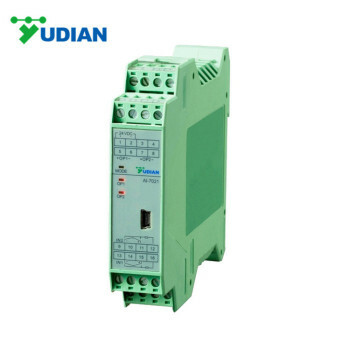 Power supply 100~240VAC, -15%, +10% / 50Hz; or 24VDC/AC. Note 1: B thermocouple obtains the above measurement accuracy only at the range of 400~1800℃ . Its measurement from 60~400℃ is less accurate. 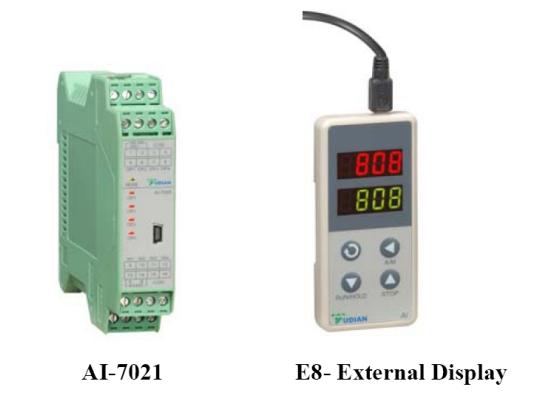 The parameters of AI-7021D5 can be set by an external E8 display which can be used to configure AI-7021D5 at the initial set up, as well as remain connected to AI-7021D5 and serves as an external display. 1. Upper display window, displays PV of channel 1 or parameter code, etc. 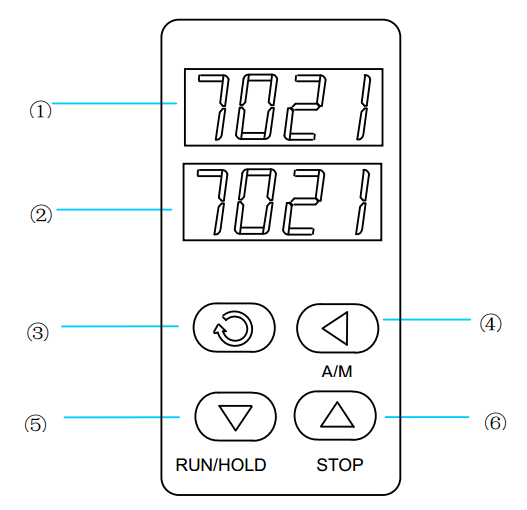 when display keep flashing or the reading abnormal, please check the input specification set correct or not. 2. Lower display window, displays PV of channel 2 or parameter value. 3. Setup key, for accessing parameter table and conforming parameter modification. Terminal 1 and 2 are for power supply of 100-240VAC or 24VAC/DC. Terminal 5 and 6 are the positive and negative pole of channel 1 current retransmission output. Terminal 7 and 8 are the positive and negative pole of channel 2 current retransmission output. Terminal 14~16 are for channel 1 input. Terminal 10~12 are for channel 2 input. 3. 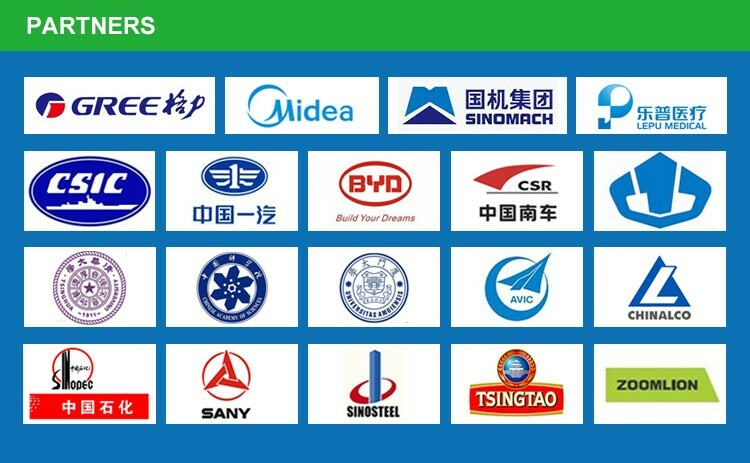 How about the quality of temperature transmitter?